The HTF puts the power of smart sanding technology at your finger tips. 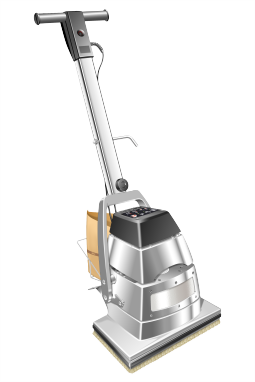 Easy to use , the HTF focuses more weight on the abrasive than any other orbital floor sander available. Perfect for exterior deck refinishing, The HTF resists damage if sanding over screws or nails and is sized to sand the entire deck surface quickly and beautifully. Ideal for interior medium to light duty floor sanding , refinishing and final sanding of all types of wood flooring. With or against the grain for a score free, superior finish. The HTF easy-on/easy-off modular weight kit allows more or less pressure to be applied to the abrasive. The abrasive cuts at its most efficient rate ensuring perfect results every time. The HTF's abrasive pad, used as a backing pad for the self adhesive abrasive papers, features a unique foam core which prevents the pad from going flat. By retaining its flexibility, the abrasive pad follows the contours of the floor surface without cutting through high spots to new wood. Essential for refinishing and screen and re-coat jobs. The abrasive pad is also a fine abrasive when used on its own equivalent to a 280 grit (P280) abrasive, ideal for sanding between coats of varnish for the very best finish. 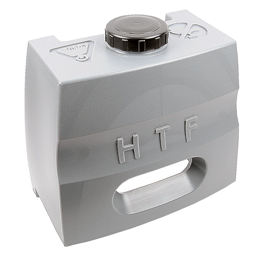 Simple operation and safety are major features of the HTF. 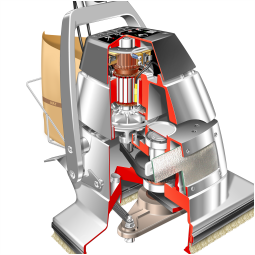 A powerful vacuum system picks up the fine dust created in orbital sanding, which is collected in a disposable paper dust bag for safe handling and disposal. A biased off switch prevents the sander being accidentally left switched on, while the handle is easily removed for easy, safe transportation. Easy to use, finger tip control. Best in class abrasive pressure. Powerful 4 pole (brush) motor. Fast and easy setup and breakdown.